I really can't tell from the picture whether the raccoons did the damage or just took advantage of it. 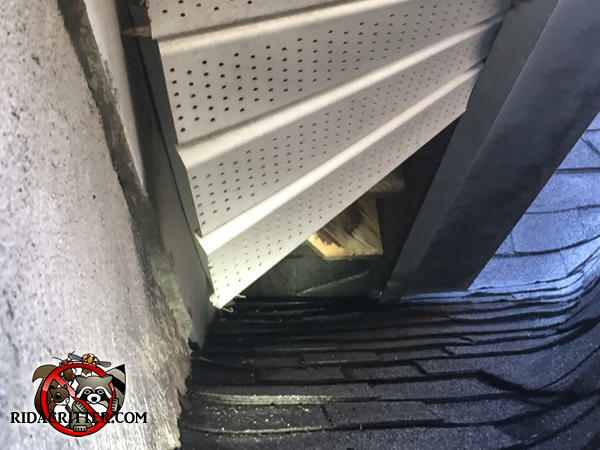 It's not unusual for soffit panels to come loose as the roof of a house settles. But it's also not unusual for raccoons to pull the panels out. This one is a coin toss.